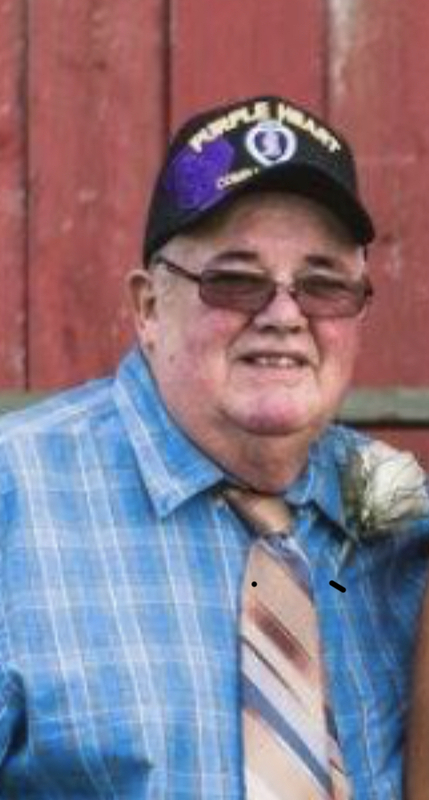 James G. LaChance, age 71, of Rapid River passed away suddenly of natural causes on Saturday, January 26, 2019 at the Advent Health Hospital in Sebring, Florida. Jim was born April 22, 1947 in Escanaba, the son of Gordon and Violet (Johnson) LaChance. Jim grew up and attended school in Perkins and South Lyon, Michigan and a brief time in Chicago as his father Gordon worked construction, however Perkins was always his home. Jim graduated from South Lyon High School in 1966 and was inducted into the US Army and proudly served his country both stateside and the Republic of Viet Nam. Five months into his tour of duty as an Infantryman with the 5th Battalion, 60th Regiment, 9th Mechanized Infantry Division in the Mekong River Delta area he was seriously wounded in battle. He was evacuated to a military hospital in Japan where he was treated for 4 months then transferred to light duty at Carlisle Barracks, Pennsylvania where he was honorably discharged in 1968. Specialist LaChance earned the Purple Heart Medal, Combat Infantry Badge (CIB), Republic of Viet Nam Campaign Medal and the Viet Nam Service Medal. He was also a member of the Veterans of Foreign Wars, Disable American Veterans, Military Order of the Purple Heart and Perkins Legion Post 540. Jim returned to Michigan and resumed working with his Uncle Leonard LaChance at Hornet Concrete in South Lyon Michigan. He married Dee Ann (Spirl) and to them were born James, Thomas and JoAnn. The family moved to Perkins in 1976. Jim worked for A&S Concrete for many years as well as plowing snow at the former KI Sawyer AFB. When Sawyer closed in 1993 he transferred to Selfridge Air Base in Detroit and worked there full-time until his retirement and moved back to Perkins. He maintained his manicured lawn, flowers and fruit trees here and his winter home in Florida with his longtime companion Betty Doucette. Jim was an ardent Chicago Cubs fan and enjoyed spending time with his children and grand children. He was a member of St. Joseph Catholic Church in Perkins. He also had fun driving his 91 Buick Riviera in parades. Jim enjoyed time at his hunting camp, bowling, and his casino trips. Anyone who stopped by his house found a fresh cup of coffee and a good conversation. He was always a wonderful host, either here or in Florida. Jim is survived by his sons, James (Callie) LaChance of L’Anse and Tom (Dianne) LaChance of Perkins; his daughter, JoAnn (Gene) Paavola of Pelkey, MI; grandchildren, Ashley (Andy) Lauscher, Alicia (Chris) Kolodzek and Trevor and Mason LaChance; great grandchildren, Colton, Lucas, Jaxton and Weslyn; his sister, Karen Thielman of Perkins; two nieces, Kristy Childers and Donna O’Day, his longtime companion, Betty Doucette of Rapid River and a sister-in-law, Sally LaChance of Michigan. The family will receive friends on Saturday, February 2 from 12:00 PM to 3:00 PM at the Skradski Funeral Home in Gladstone. Military Honors will be presented at 3:00 PM by the Perkins American Legion Post 540. A luncheon will follow at the Perkins Lions Club. Jim will be laid to rest in the Perkins Cemetery. We are so sorry to hear of Jim’s passing. Our sincere condolences. I am so blessed to have known such a kind soul and one of my dearest cousins. All of the teasing and laughter will be missed. Love you til the end of time. His laugh was infectious and we all have great memories with him. He was a gracious host. Mom & Dad stayed with him and Betty in Florida last year. I have a lot of memories of him sitting around the table at Uncle Kenny’s and Aunt Loretta’s house. Our condolences to Jimmer, Put Put, JoAnn and the rest of the family. Sorry for your loss! You are in our prayers! and had a smile for everyone. Perkins will not be same without him. He will be sadly missed. Our condolences to his family. from Kenny, Loretta, Rhonda, Rod, Renee and Randy. So sorry to hear of the passing of Jim (little brother). I remember his being called that by big sister, Karin. What I remember most? That smile and chuckle. My thoughts to all of his family.